It’s scary to think that it’s update time again, as we sit waiting to fly out of Jakarta airport, where we landed exactly 8 weeks ago, having spent that whole period travelling around Indonesia. 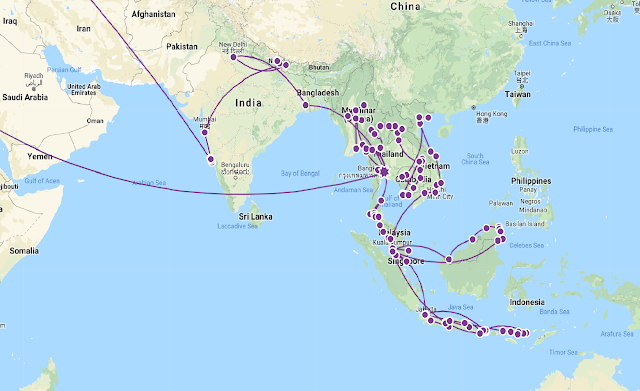 We’re now 32 weeks in, and approaching the latter stages of our adventure, so it’s time to head back into the northern hemisphere, as we fly up to Ho Chi Minh City, Vietnam. We will work our way up from there north towards Hanoi, and are very much looking forward to new cultures, experiences and of course amazing food!